Holistic and Effective are two words that come to mind when we think of Chinese medicine and little ones. Infancy, childhood and adolescence are times of change, development and growth, which come with a variety of obstacles and challenges. These health concerns can very often be resolved with minimal intervention and well-rounded healthcare. At Nest, we tend to take a minimally invasive approach to working with your children, and offer needle-free options if they are needed. Traditional Chinese Medicine works to balance and support the healthy development and growth of children and teens with the consideration of three vital factors: rapid growth and development, the digestive system, and teen hormones. The foundational theories of Chinese Medicine are founded on the principles of yin and yang. Yin is substance that is cool and nourishing, whereas Yang is warm and transformative. Kids are full of yang energy and exactly what they do is grow, change and transform. It is said that kids are full of “pure yang” and in terms of healing; this is very good because since they grow so quickly they also heal quickly. The key is to create a smooth flow through all their life. In infants it is most common to see febrile and digestive disorders. Infants grow so rapidly that they develop a hyperactivity of yang or metabolic fire. This weakens the relationship between yin and yang energies in the body and this is also one of the main reasons why infants have such high tendencies towards running fevers, why a child’s sickness is often worst at night, and why there is restlessness during developmental changes. Additionally, a child’s digestion is innately weak up until the age of 5 or 6. This is why food stagnation is so common. The food accumulation turns into dampness and heat accumulates which then lead to colic, ear infection, asthma and more. In many cases, the root problem comes back to indigestion. After the ages of 5 a myriad of things occur and children continue to grow and develop rapidly. A broad spectrum of health obstacles can present at this time, which include: eczema, respiratory infections, allergies, asthma, hyperactivity, night fears, enuresis, insomnia, reflux, diarrhea, constipation and stomachaches. In the treatment of allergic, asthmatic, and infectious conditions Chinese Medicine works to build up the immune system and supports organ health. If a child becomes sick frequently, as many children do, it is also important to have a plan in place for when they get sick. This will minimize the times they become sick and increase vitality. For digestive issues such as chronic stomach pains, constipation, diarrhea, vomiting or colitis it is important to regulate the transforming and transporting of food and nutrients. This is also tied to skin conditions, as skin is the reflection of the health of blood and energy that is built from the foods ingested. Things such as night fears and enuresis are often tied to an under-developed kidney system and with support from Chinese medicine these symptoms can subside. As one goes through adolescence, change, of course, happens quickly. Along with physical growth, also come increased stress, peer relationships, and big hormonal changes, which make for interesting transformations. For many teens this mix of changes blocks the smooth flow of energy and emotions leading to things such as anxiety, depression, and anger. 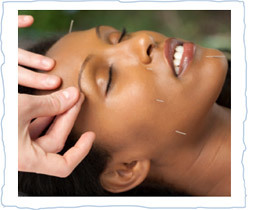 Acupuncture is able to effect brain chemistry by increasing the production of endorphins and other feel good chemicals in the brain which creates a calming effect. For young women, the transition into menstruation can be a difficult one with painful periods, irregular flow, pms and digestive complications. Chinese medicine is great for bringing balance to the cycle and regulating the pain with out drugs. Nest is a resource for addressing the health needs of children and teens while providing the right support for their developing bodies so that they can thrive and enjoy healthy lives.